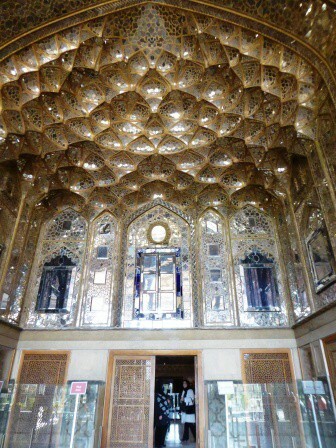 A Persian Odyssey: the dome of the firmament. 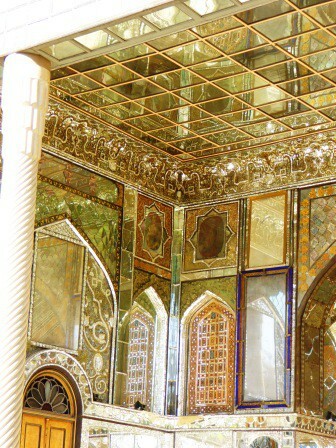 Iranian/Persian architecture has its own particular features. Heavy decoration. Ivans. Squinches*. 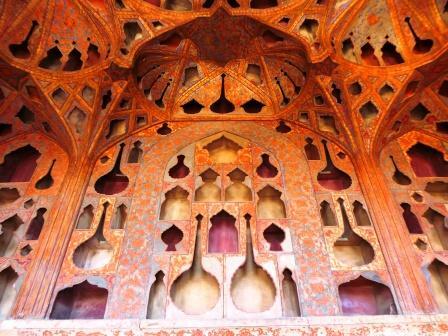 On my travels in Iran, I saw many examples of all of these but the things that I became particularly obsessed by, and the things that my travelling companions repeatedly found me peering (up) at was the ceilings. That’s right. This is a blog post about ceilings. 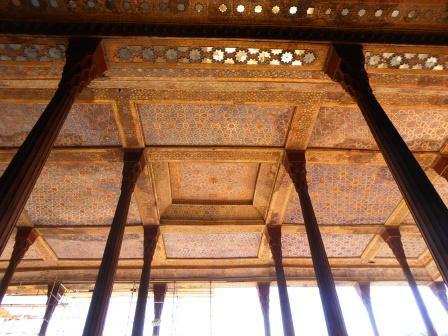 To be fair, they were rather striking ceilings. Many involved the aforementioned squinches. Or decorative coving and clerestories. with portraits in a hybrid Persian-French style. 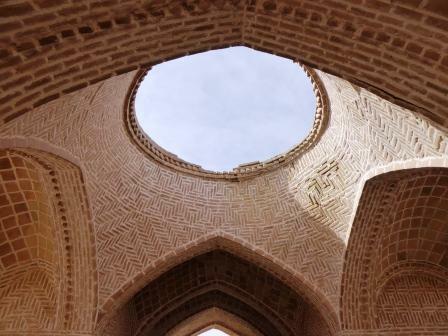 These ones, in brick and tile, are in Yazd, at the Towers of Silence. 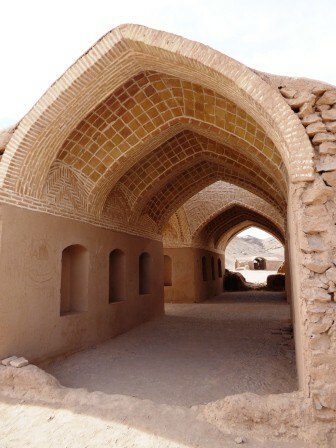 These buildings were used to conduct the funerary rites for deceased Zoroastrians. Or domes, many of them beautifully tiled. 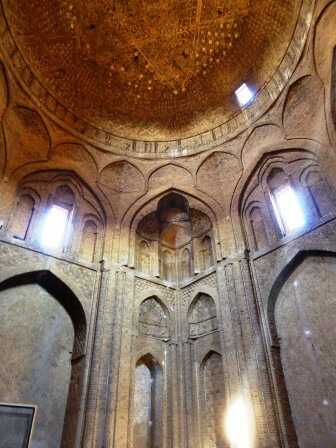 At the Masjid-e Jameh in Isfahan the many domes are all made using different patterns of brickwork. 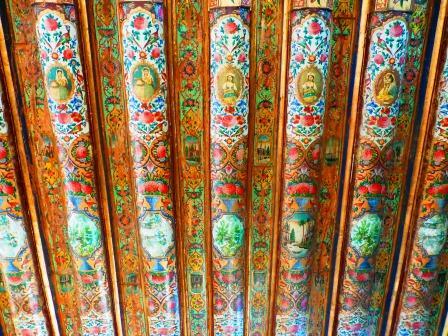 At the last Shah’s palace, in Tehran, there was a bedroom decorated in this style (no photos allowed). I can’t imagine how he could have slept in such a room. 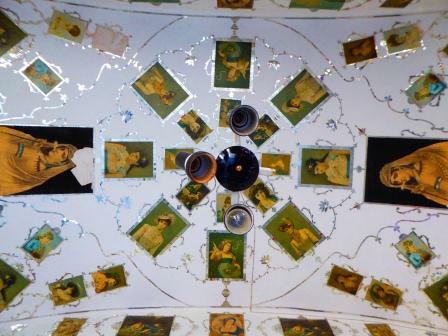 And one final, very special, ceiling. 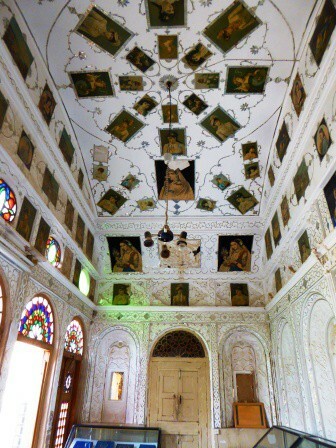 In the Ali Qapu Palace, there is a music room in which all the walls and ceiling have been created using intricately molded plaster. 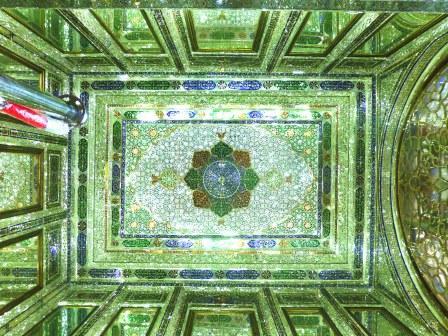 The niches could be used to display objects and the molding was designed to improve the acoustics. 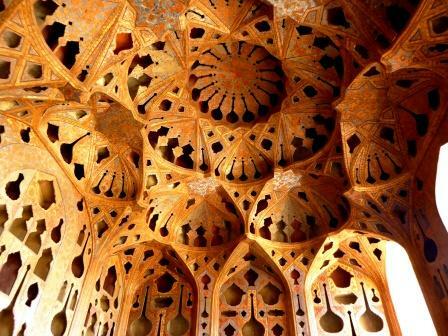 This is just a tiny selection of the amazing ceilings of Iran. 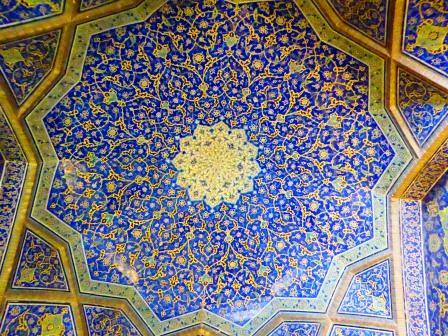 If you do get to Iran (or are already in Iran), be sure to look up. 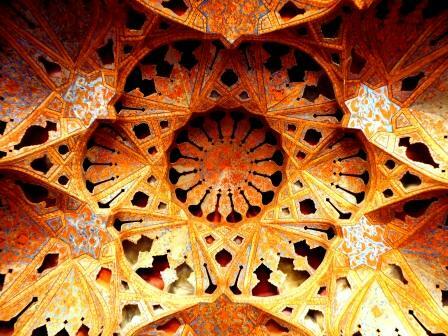 * a ‘squinch’ is an architectural element that enabled Islamic architects to fit a round dome on to a square building. Basically they squash the upper corners of the walls in. This entry was posted in Archaeology, Museums and Exhibitions, Persia, The Big Wide World, Uncategorized. Bookmark the permalink.